As we jump into the holiday season of overindulgence, we wanted to revisit some strategies to help everyone make better health decisions and minimize the undoing of all the hard work you’ve done throughout the year. By implementing some of these tips you can still enjoy the holidays without suffering a major setback. 1. Don’t go hungry. 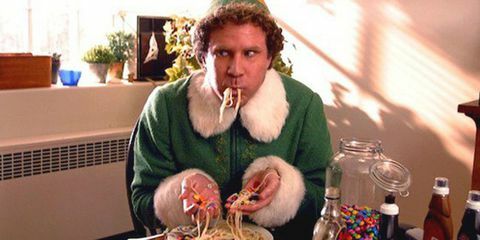 Some people think that skipping meals before a large holiday meal or party will offset the massive amount of calories they are about to consume. In reality, they tend to eat more, filling up on chips and alcohol because they’re starving and waiting for the meal to be ready. Instead, eat a normal, healthy meal before you go to the event and skip the snacks once you arrive. 2. Hydrate. It’s never a bad idea to drink water, and it’s easy to forget to hydrate with all the rushing around during the holiday season. Drinking water before a meal or along with a soda or alcoholic beverage will help you feel more full and prevent overindulging. The water also helps aid in digestion. Sometimes hunger sensations can actually be your body telling you it’s thirsty. Before you eat, drink a glass of water and see if that curbs your hunger. 3. Eat buffet style. Many families put out the turkey and sides right on the dining table with guests seated around it. This makes it too convenient to overstuff yourself. Instead, save the table for plates and drinks only, and put the food in a separate area, like a kitchen island, where everyone has to get out of their chair and go serve themselves. You’d be surprised how well this works to cut down on subsequent servings. 4. Slow down. Take time to taste and enjoy your food. Put your fork down between bites and fully chew before reloading. It takes about 20 minutes for our stomach to signal our brain that we are full. If your meal is finished inside of that time, it’s easy to eat too much. Slow it down, talk to people at the table, and don’t be in such a rush to stuff it all down. 5. Pass the bread. Limit the starches and carbs. Simple carbs can cause your blood sugar to spike, leaving you craving more. Instead, fill your plate with vegetables and proteins. 6. Don’t hover. Those hors d'oeuvres trays can be so tempting. Don’t park yourself in front of them. Grab a small plate, select a few, and go sit somewhere and talk to someone. This technique will slow down your intake and limit the quantity you eat. 7. Stay busy. Offer to help set up or clean up to avoid filling your time with snacking. Go for a walk or organize an active family activity for after the meal. 8. Bring a dish. If you’re going to visit someone that you know typically doesn’t subscribe to your healthy eating style, bring a side item of your own. Double the portion in case it becomes a favorite. 9. Give it away or take it home. Buy some disposable Tupperware and give it out to guests if hosting, or bring it with you to the party if visiting. Providing a means of transport helps get the excess food out of your house, and bringing your own allows you to cut back on what you eat and save a portion to eat at your next meal. You can also use it to politely accept Aunt Sally’s mincemeat pie, and throw it in the trash on your way home. 10. Get back in the Box. It’s easy to get distracted during the holidays. Busy schedules and lots of food can start to derail your progress and your routine. It’s important to keep working out. Getting a WOD in can be a healthy getaway from all the in-laws, or, if you’re still on speaking terms, invite them to come along for a drop in workout. It’s important to look at the big picture during the holidays. A couple pre-planned cheat meals here and there are not going to unravel an entire year of progress. Be smart about it, stick to your strategy, and enjoy yourself. Just get things back to normal as soon as possible.